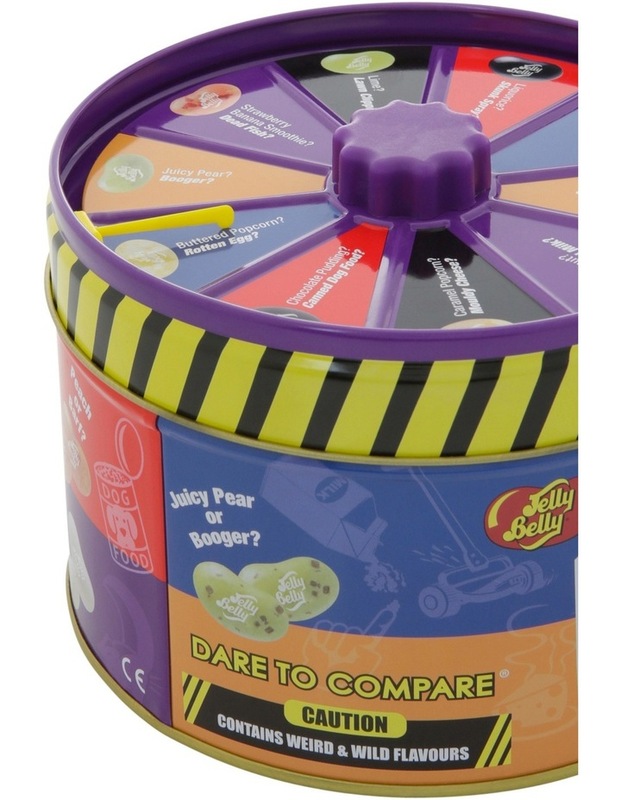 The Jelly Belly BeanBoozled Spinner Tin contains a colourful mix of jelly beans featuring yummy flavours and weird flavours. The weird flavours look just like the yummy flavours so can never be sure what flavour you have picked until you put the bean in your mouth. The tin features a spinner top lid. 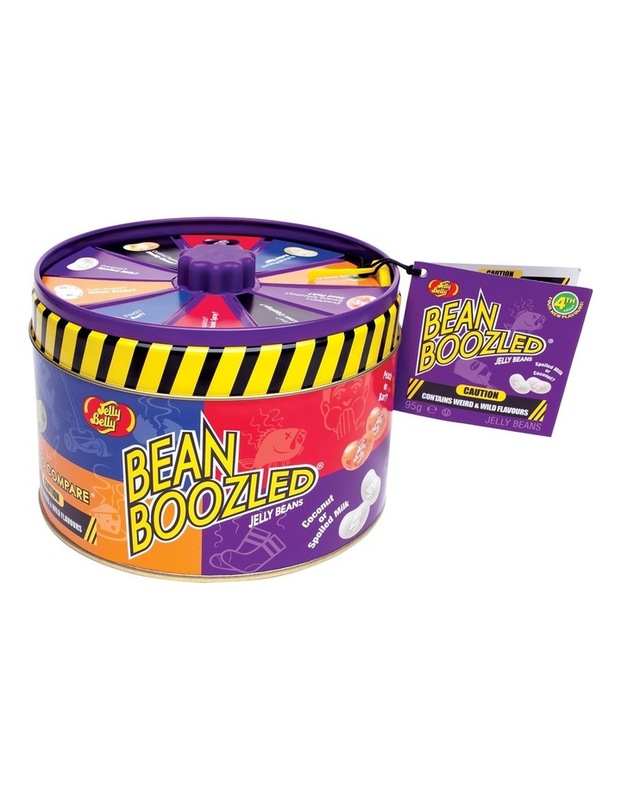 Spin the wheel to take on the BeanBoozled challenge! Flavours of jelly beans are Booger, Skunk Spray, Chocolate Pudding, Caramel Popcorn, Tutti-Fruitti, Liquorice, Canned Dog Food, Juicy Pear, Coconut, Mouldy Cheese, Barf, Spoiled Milk, Rotten Egg, Stinky Socks, Buttered Popcorn, Lime, Dead Fish, Peach, Strawberry Banana Smoothie and Lawn Clippings. Jelly Belly is family-owned and operated company. The family's candy-making roots can be traced back to 1869. Today, the fourth, fifth, and sixth generation continues the sweet tradition.